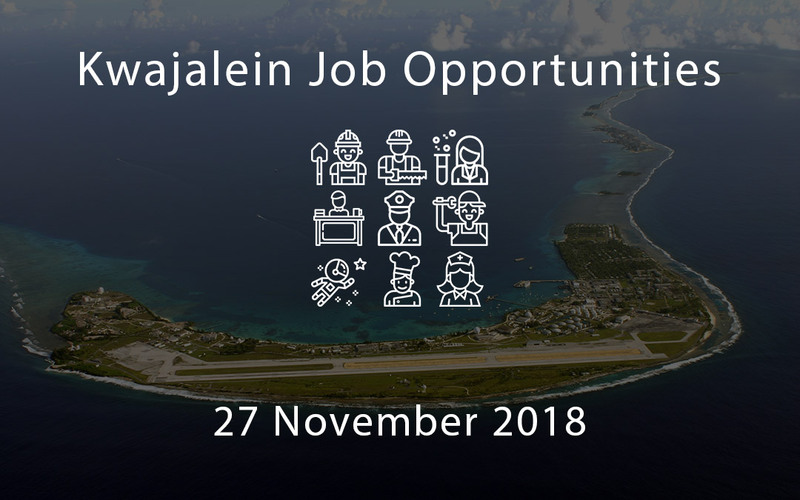 You will serve as a General Supply Specialist at the U.S. Army Garrison Kwajalein Atoll (USAG-KA) /Kwajalein Missile Range (KMR) monitoring, evaluating and ensuring satisfactory and efficient performance by the logistic support contractor. * Provide technical advice to the contractor on a wide range of logistical and program management issues in one or more disciplines related to inventory management and stock control. * Perform evaluation of the logistics contractor and monitor one or more activities of a contractor operated retail supply program. * Apply contractor performance evaluation plans and surveillance schedules to assure contractors and sub-contractors are performing in accordance with contractual requirements. * Provide budgetary estimates for labor, material, facilities, and equipment required to provide a total logistical support program. * Conduct studies and analysis of supply and transportation related issues. The Airfield Operations Specialist performs operational and administrative duties as the designated representative of the Airfield Operations Supervisor. The Workers Compensation Administrative Assistant to join our team on the beautiful Island of Kwajalein Atoll. The Workers Compensation Administrative Assistant is responsible for performing administrative and clerical support for all medical Workers Compensation claims. The Dental Hygienist is responsible for providing general dentistry care to patients including but not limited to cleanings, debridement, hand scaling, and instruction in proper dental hygiene. The Certified Registered Nurse Anesthetist is responsible for the adminstration of anesthetics to patients undergoing surgical procedures (both medical and dental), accurately measuring and monitoring anesthesia is administration while monitoring patient vital signs to ensure safety. In addition, the CRNA may be required to perform additional tasks during the surgical procedure including, stabilization and evacuation. The Surgeon is responsible for preoperative diagnosis, performing operations, and providing the patient with postsurgical care and treatment. The Food Safety Inspector is responsible for food inspections of identified base food preparation establishments; including but not limited to incoming shipments, storage areas, kitchens, and dining facilities to ensure they meet proper standards from production to presentation.